I like this. 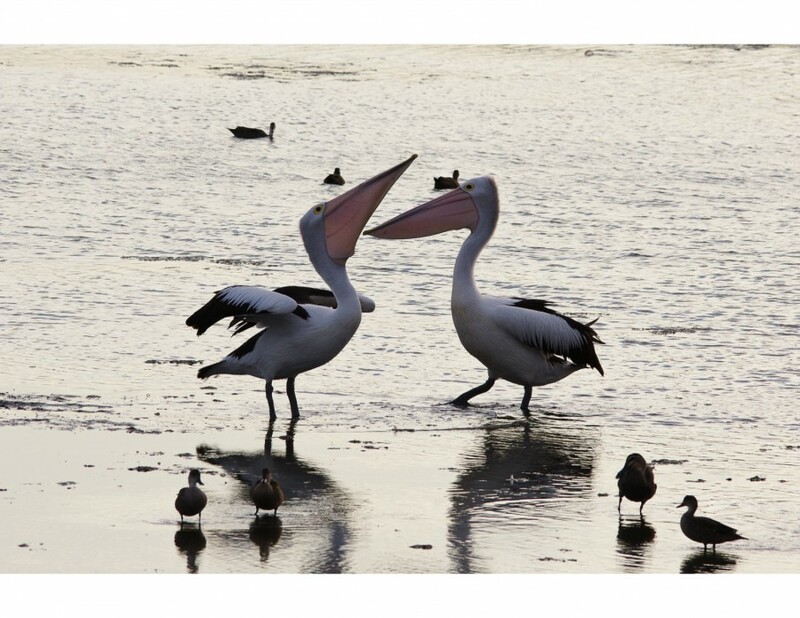 To me pelicans are funny birds. I can't help but smile at these two. And I think the dramatic, high contrast light works very well here. Thanks DW58. I like the contrast too. Is this some kind of ritual - or are they just goofing off? crazy looking birds! pelicans are awesome! I think that it might be two males showing off, with one of them trying to be dominant. That's my guess. Pelicans are so cool! Great pic!